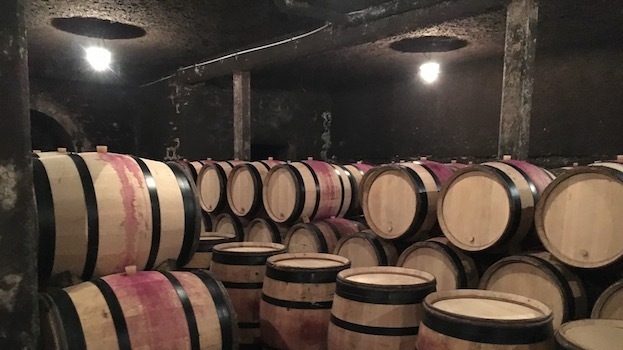 During my nearly 100 cellar visits to taste red Burgundies in November and December, a number of growers opted to show me their finished 2014s before presenting their young 2015s—even though this goes against the common practice of showing barrel samples first. They were concerned that the ‘14s might appear tight or ungenerous following the plusher, sweeter ‘15s. They need not have worried: this is a lovely classic midweight vintage with real éclat—the sixth or seventh best of the past 25 years according to the Vinous vintage chart, and probably even better than that for Burgundy purists who gravitate toward wines with clear site character. Following an unusually warm, dry winter, the flowering in 2014 was very early and mostly successful, beginning in late May, with even the latest-flowering Pinot vines finishing by around June 12. But after the favorable start came a widely destructive hailstorm on June 28, which was most damaging on the Côte de Beaune (especially in Beaune, Pommard and Volnay) but also had an impact as far north as Vosne-Romanée and Chambolle-Musigny. Following the hailstorm, July and most of August brought mediocre weather, including recurrent rain and significantly fewer sunshine hours than average, so that the ripening process slowed dramatically. 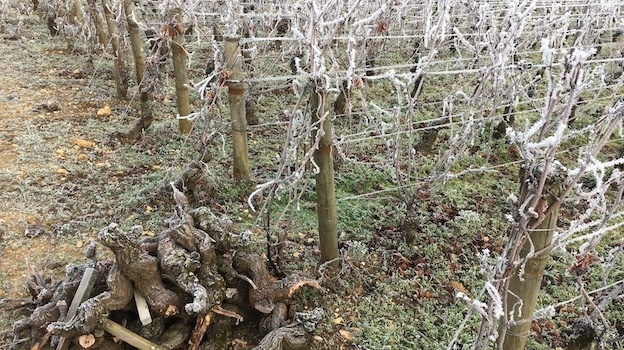 Some growers who thinned their vines after the hail to ward off rot from the continuing showers saw their fruit affected by a sharp heat spike in mid-July. While most of the hail-affected grapes fell off the vines in the weeks after the storm, damage to the leaves delayed ripening in many parts of the Côte de Beaune. 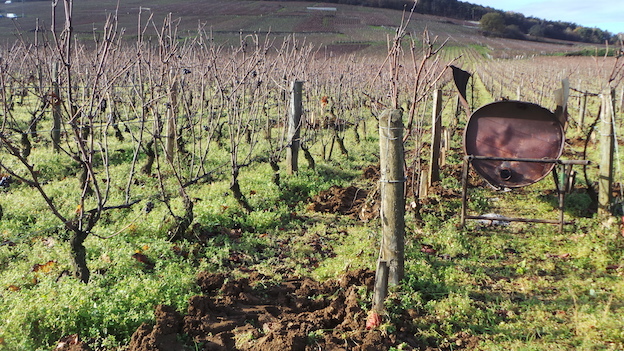 This year many vineyards—as well as other fruit trees, particularly cherries—were affected by an outbreak of Drosophila suzukii (vinegar flies, which are associated with acid rot in the grapes). Where red grape skins were not sufficiently thick, the flies were able to penetrate the berries to lay their larvae, and acetic acid was often the result. The most conscientious growers went into their vineyards in late August or early September to eliminate damaged fruit, with most of them maintaining that problematic areas were easy to find as the afflicted vineyards smelled strongly of vinegar. As in so many recent vintages, the 2014 growing season was rescued by clement late-season weather, with September enjoying significantly more sunshine hours than normal. A mostly dry northeast breeze and warm temperatures helped grape sugars rise, while the nights were cool enough to preserve acidity levels. Most estates began harvesting between September 13 and 16, with some starting a day or two earlier and others up to several days later. Happily, there were few problems with gray rot, thanks in large part to the dry weather in the weeks leading up to the harvest, and even some rain on the 19th did not generally have serious adverse effects on the grape skins. Hang times had been drawn out by the mediocre summer conditions, which brought more phenolic ripeness (and flavor) at moderate alcohol levels. This was a “natural” ripening process, as opposed to higher sugars that come about via evaporation, which can occur during a burst of heat or as a result of dry winds just before or during the harvest. 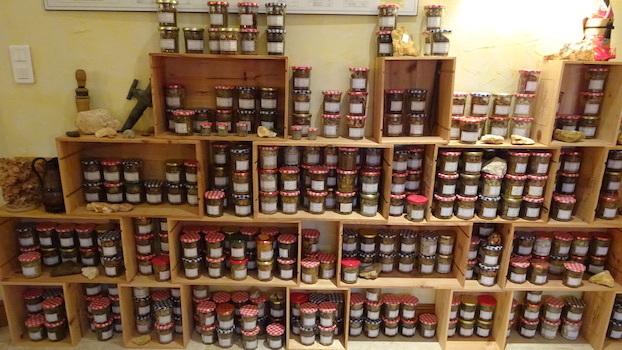 Most producers reported doing careful extraction in 2014, for fear of getting harsh tannins from the skins and seeds. Some cut back on ­pigeages (punching down of the cap during fermentation) in favor of remontages (pumping over). As the skins were not always fully ripe, some winemakers destemmed more of their fruit than usual, and of course there are still many estates that are philosophically opposed to vinifying with whole clusters. On the other hand, judicious use of stems could add complexity as well as an element of energy to the wines. The 2014s show lovely classic Pinot colors, even where extraction was gentle. Thanks to the healthy grape skins and lack of rot, the mostly moderate alcohol levels, and the lack of surmaturité, the 2014s are wonderfully transparent to their terroirs. Two thousand fourteen is largely a vintage of medium-bodied wines with lift; it’s the rare 2014 that shows the opulent, mouthfilling texture of the ’15s. 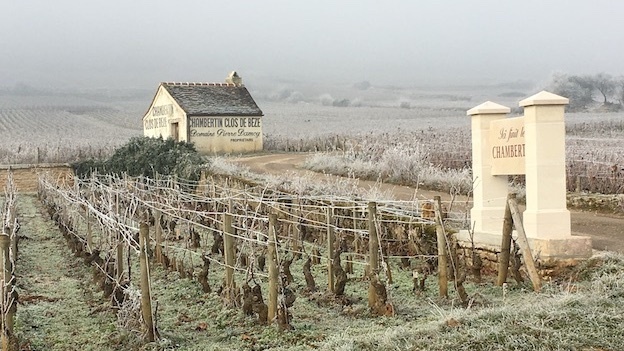 The ‘14s possess healthy average to slightly above average acidity by recent Burgundy standards—in most cases very close to the levels in 2015—but one generally feels the acidity more in the ’14s because the wines have less baby fat. The ‘14s stand out for their aromatic purity and verve, with many of them displaying the kind of high-pitched mineral, floral and pungent red berry aromas that are rare in hot vintages; pepper and herb accents also perk up in many wines and add to their complexity when these elements are present in small doses. The wines are rarely particularly fleshy; rather, they impress for their vivacity and definition. The tannins in 2014 are mostly fine-grained and ripe, although some wines that are short on buffering mid-palate stuffing—or too concentrated owing to the effect of hail on crop levels—can come across as a bit dry-edged or rough. In sum, the 2014s are succulent and easy to drink. On the Côte de Nuits, 2014 is a vintage of moderately fleshy, ripe wines with lovely transparency to terroir. The vintage is thus mainly destined for medium-term drinking (say, within 5 to 10 years after the vintage for village wines, 7 to 14 for premier crus and 10 to 20 for grand crus) but the most concentrated and best-balanced wines may surprise with their longevity. The ‘14s are rarely austere in the early going and a large percentage of them should give great pleasure in their youth. At this point I’d venture that the wines are unlikely to shut down hard, as the 2012s have, but I should note that a number of producers believe that their wines have tightened up following bottling. The 2014 vintage is less consistent at the village level than 2015 is, with some lesser wines lacking in density and ripeness, but it tracks the vineyard hierarchy well, especially in the Côte de Nuits. The wines from the Côte de Beaune rarely show the class or aromatic lift of the better examples from the Côte de Nuits, and some of them convey an impression of irregular ripeness. Some of these wines betray tough tannins from hail damage and incomplete ripeness—even though most growers maintain that the hail came early enough in the season not to cause any obvious off tastes. Still, the best examples from the Côte de Beaune, including numerous wines made from tiny crop levels and very ripe fruit, are more concentrated than those from the Côte de Nuits and may well require at least as much patience. When favorable weather returned at the end of August, vines carrying precious little fruit could get ripe in a hurry—and sometimes even a bit chocolatey. I found a number of standouts in 2014 from the village of Volnay. In terms of their balance, the 2014s are generally medium-bodied wines in the context of Burgundy, while the 2015s are medium to full and often very rich. Acidity levels are often slightly higher in 2014, but, as I noted in my introduction to the 2015s, pHs in the younger vintage are often quite healthy as well. So differences in acidity are more often about perception than technical data. With less buffering middle-palate body and sweetness of fruit, one feels the acidity more in 2014, just as the tannins in this vintage can come across as firmer than those of 2015. Alcohol levels are generally lower than those of 2015, with very few unwieldy wines, and fruits are more likely to be red than black. Will the structure of the ‘14s dominate their fruit in the early going? That’s quite possible, but last fall and this winter many of the wines offered early appeal for their balance of fruit, minerals, acids and tannins, and their early aromatic perfume. Still, as I followed these wines with aeration, it became more and more clear to me that the better wines of 2014 will enjoy a reasonably long life in bottle. Of course, production levels are critical. Where crop levels were full, the wines may open sooner. 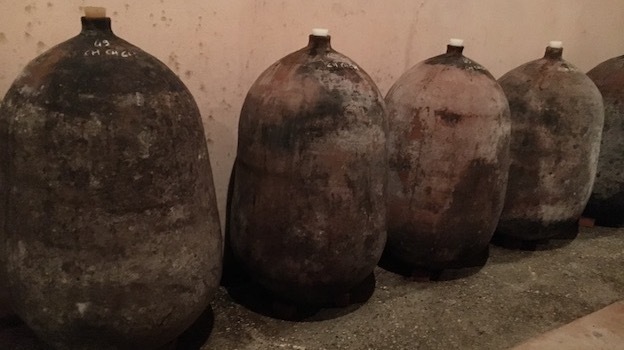 The wines included in this article were tasted in the cellars in November and December, along with the young 2015s from the producers I visited, as well as in follow-up tastings at my home in February. Please note that my projected drinking windows represent my estimate of the sweet spot in which to drink each wine. That’s not to say that many of the ‘14s won’t give pleasure earlier, especially to drinkers who particularly enjoy the primary fruit character offered by young Burgundies—not to mention those who do not have ideal long-term storage conditions. And of course, the vintage’s more concentrated and best-balanced crus may go on for much longer in consistently cold cellars than my drinking windows suggest.